Thousands of Orthodox Christians flock to the Old City of Jerusalem to retrace the last steps of Jesus Christ. Carrying wooden crosses and singing hymns, worshippers walked in procession along the Via Dolorosa in the Old City of Jerusalem, marking Good Friday, retracing what they believe was the route that Jesus Christ took to his crucifixion. 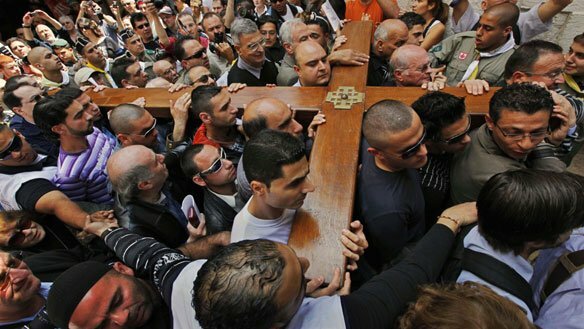 Worshipers who follow the Eastern calendar began the Easter festival of Good Friday eventually make their way to the Holy Sepulchre church where Christians believe Jesus was buried, before rising from the dead three days later. The annual ritual, in the Old City of Jerusalem, attracts thousands of pilgrims from around the world each year.